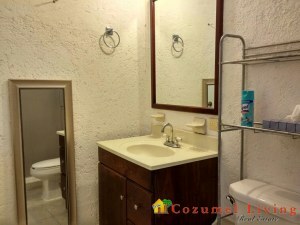 Charming 2 bedroom, 2 bath one level home sits well protected, high on a peak in Corpus Christi. 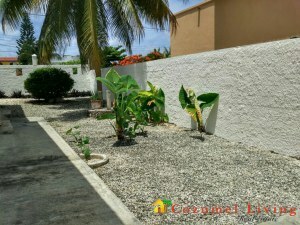 It’s larger than average size corner lot (15x18 meters) has a yard with a fresh water well, coconut trees, tropical plants, a shaded lanai porch and gated parking for 2 cars. 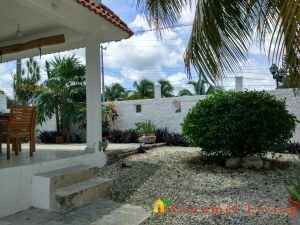 The contour of the yard makes it perfect for adding a swimming pool. 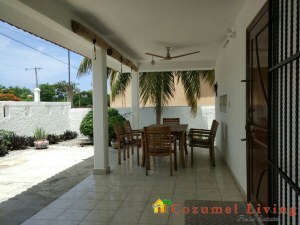 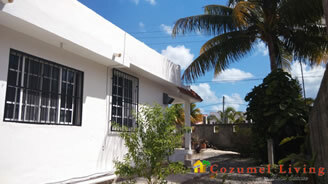 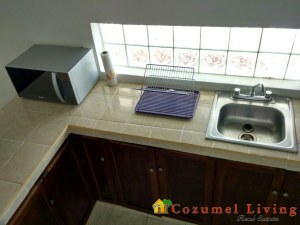 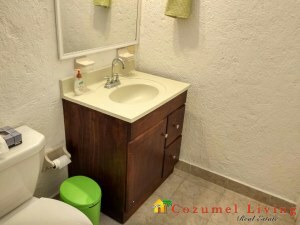 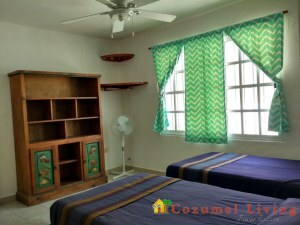 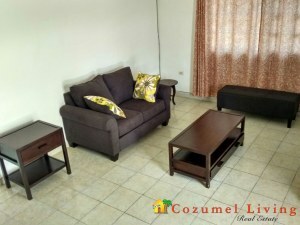 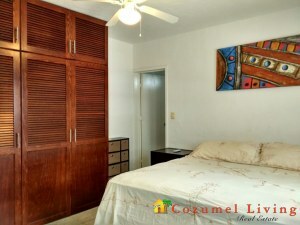 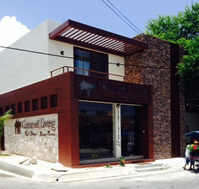 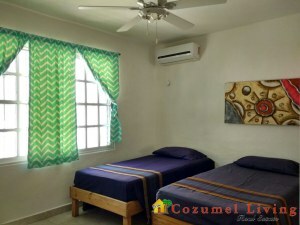 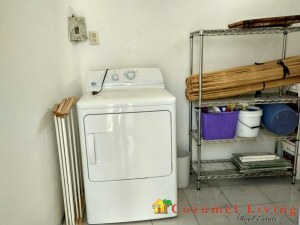 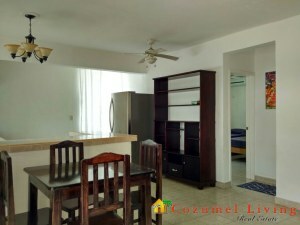 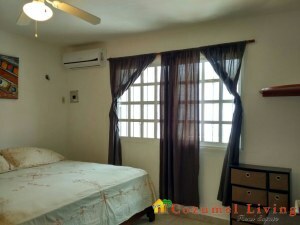 It’s very hard to find a one level home in Cozumel and this house is a comfortable one level of 1400 s.f. 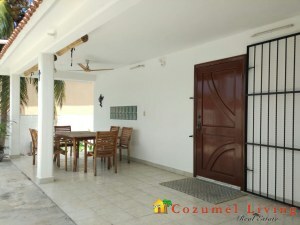 , and is very conducive to further expansion…1 or 2 levels up if you so desire with a large palapa added outdoor living space on the rooftop with great sunset views, comforting breezes, and possible oceanviews. 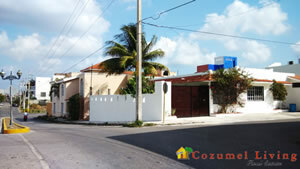 Lot size: 15x18 =270m2 or 2,970 s.f.